hello all! 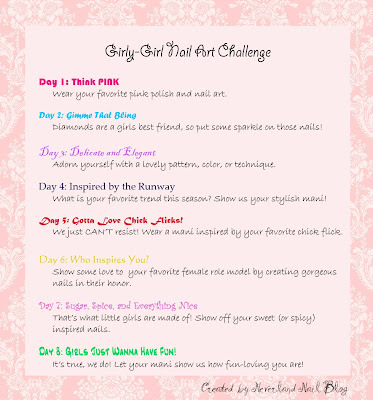 Sorry these posts are so late, I was away from my stash all last week and just had a chance to do days 3 & 4 of the Girly Girl Challenge! 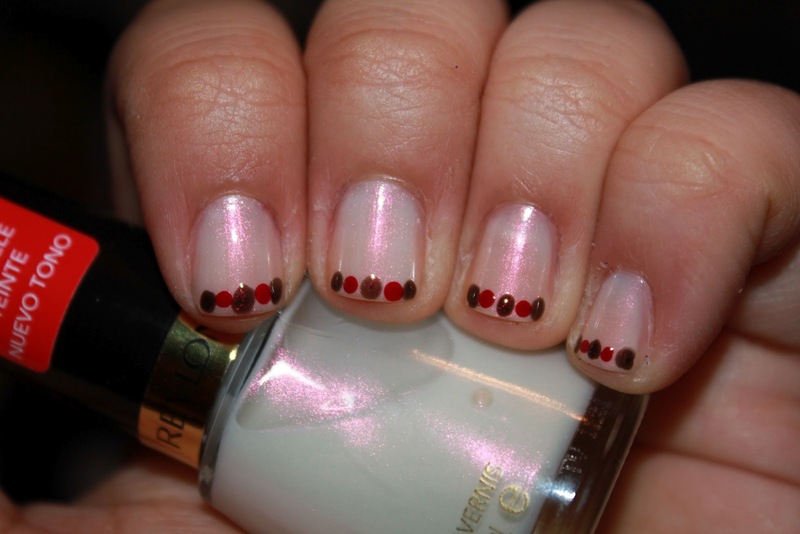 This is 2 coats of Revlon's Runway Pearl, with dots in OPI's Manucurist of Seville and Wet n Wild's Under Your Spell. I actually really like how this one turned out, it's a lot of fun!! Make sure you take a look at the other challenger's posts!! I'm really liking the runway inspired one! Wow, I love both of those! I am kind of in love with Revlon's Runway Pearl, I need to find that polish ASAP! Very pretty. I love the runway one! Both are great! I especially love the Delicate and Elegant nails! Very cool take on color blocking. 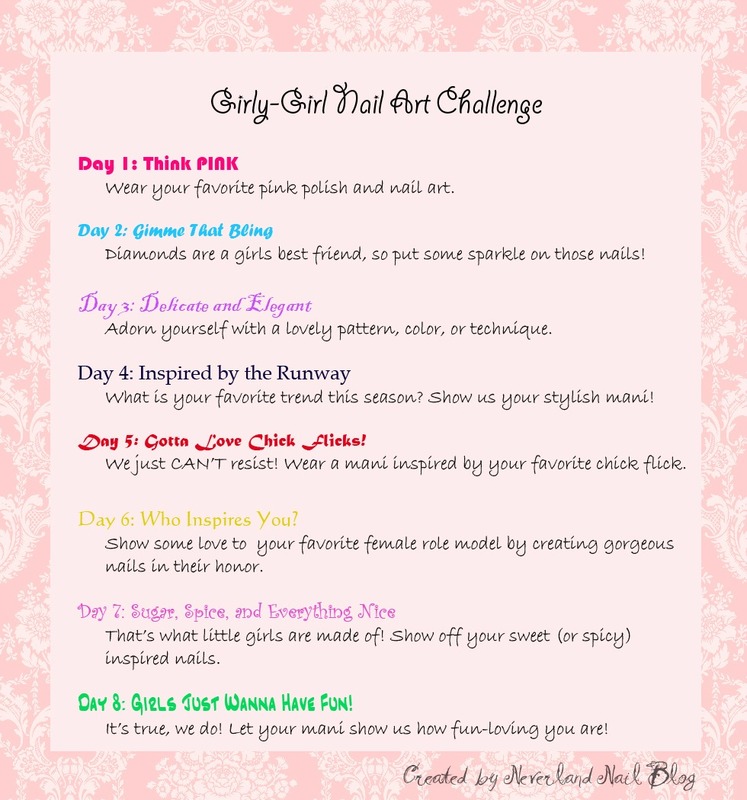 Its been really fun and interesting to see all of the different interpretations of these challenges :) Great job! i know, so much fun:] thanks for the kind words!! love them both!! love the colors for the color block!